Cadillac car tuning tips and advice helping you to transform your Cadillac in to your ideal car. We have a wide range of tuning articles covering all models of Cadillac from smaller engined family cars to large engined sports cars and executive cars. Following our tuning tips you will avoid many frequent issues and mistakes and actually achieve the car set up you desire. Please join the forum for model specific questions and answers and to meet other owners and see what modifications they have done. 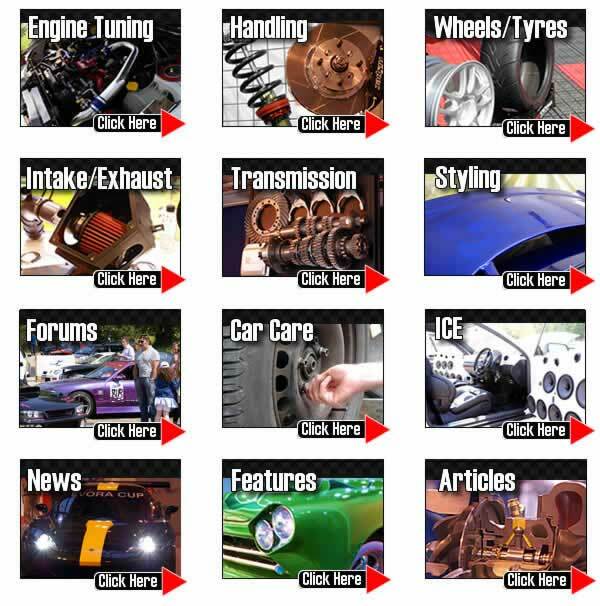 TorqueCars started providing Cadillac engine tuning reviews, car tuning and car modification tips and help back in 2003 and have grown from strength to strength with a fast growing membership of all types of cars including many, Cadillac owners. We are currently one of the fastest growing car tuning clubs around and certainly one of the friendliest. In 2007 we also organised our first full car show. Our Cadillac tuning features with performance tips and information on performance parts for your car get updated so for the hottest Cadillac engine tuning,tuning and modification advice, tips and pointers please check back regularly. We strongly recommend that you join our Cadillac forums and swap engine tuning ideas with like minded Cadillac owners in the engine tuning forums. We would like to hear about your interesting Cadillac projects, so drop into the forum, post up a new thread and pass on your tips, we love to see members car pictures and have an ever growing gallery. Scroll down the page to see our latest tuning articles for your Cadillac. Guide to Dry sump engine conversions we look at the advantages and disadvantages and discuss why you would want to convert to a dry sump. A conventional sump is a reservoir at the bottom of the engine from where oil is pumped around the engine. The dry sump relocated this reservoir and offers more efficient lubrication. We look at Anti lag systems in cars and how these keep the turbo spinning ready to provide boost from low RPM speeds. When you lift off the throttle the engine power cuts and the turbo starts to spool down. From this low spool state there is a delay while the turbo spins up again before it can provide any useful boost. We discuss the advantages and disadvantages of ALS and look at alternative options.